Why it's important to study and preserve our material culture. 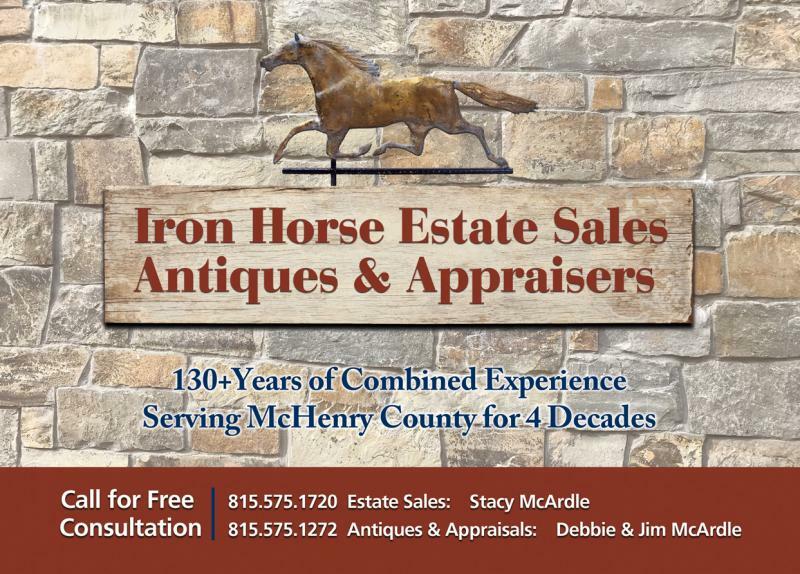 Iron Horse Antiques & Appraisers, established in 1978 by Jim and Debbie McArdle, specializes in pre-1900 American & European antiques and currently sells at various antiques shows around the country. In addition we are auction agents, we buy entire estates, and we also buy gold, silver / sterling and platinum. Our daughter, Stacy McArdle, conducts estate sales in the McHenry and Kane County, Illinois area. Visit Iron Horse Estate Sales﻿ for details. Our son, Jeff McArdle, heads Iron Horse Military Antiques located in Champaign, buying and selling antique documents, letters, images, and militaria. Jeff can be reached at jeff@ironhorsemilitaryantiques.com or www.ironhorsemilitaryantiques.com . 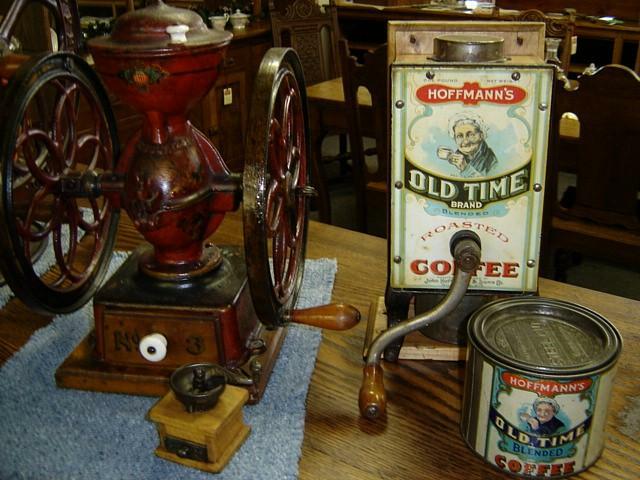 We are members of the Chicago Suburban Antiques Dealers Association, the New England Appraisers Association, the Wisconsin Antiques Dealers Association , and the Northern Illinois Antiques Dealers Association. Debbie also serves as a Board Member of the Friends of the Wisconsin Historical Society as well as the Crystal Lake Historical Society. 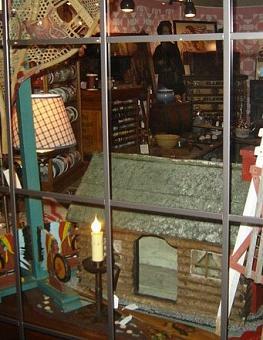 A family business, we travel all over the United States to buy, sell, appraise and consult. All of Illinois, but especially . . .
. . . covering the city of Chicago and its suburbs including St. Charles, Hinsdale, Winnetka, Wilmette & Barrington; PLUS Rockford; Champaign; Urbana; Decatur; Mattoon; Charleston; and Shelbyville, and any place in between!
. . . covering Janesville; Milwaukee; Madison; Wausau; Sheboygan; Bayfield; Ashland; Minocqua; Rhinelander; and Green Bay, and any place in between! + anywhere else that is worthy of a visit! Patriotic Americana is one of our specialties. Please call if you have any early flags or items like this carving to sell! We love patriotic Americana and old American Flags. What do you have to sell? Pictured here, a rare 1863 35-star flag admitting West Virginia to the union. 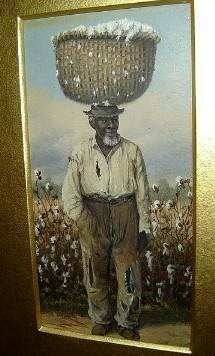 We admire works by William Aiken Walker. We specialize in County Store Advertising & Store Fixtures!